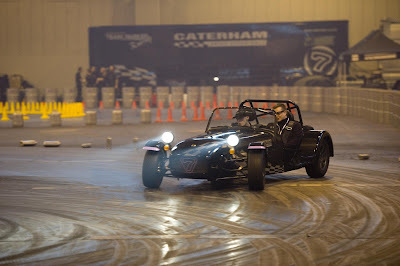 As well as its static display, Caterham will once again demonstrate the dramatic abilities of its Seven on a custom-built indoor drift course, recreating all the noise and speed of its Caterham Drive Experience (CDX) days. During the four-day show, several thousand show goers will sample a Seven at full-throttle beside one of Caterham’s professional drivers in Hall 4 of Birmingham’s NEC. James Drake, Caterham Cars' Marketing Manager, said: "Having nearly our full ‘family’ of race cars come together like this is very exciting for us. Only the GP2 car is missing but we’ve so much going on at the stand and at the live action arena that we just couldn’t pack it all in. Hang the tail out to dry! 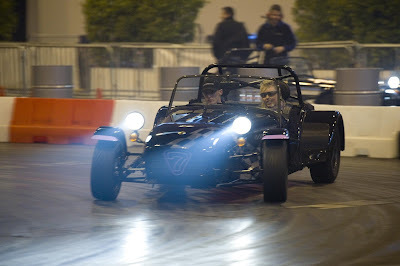 Caterham Cars will also be announcing a brand new grassroots motorsport project at the show. Visit the Caterham stand in Hall 4, Stand 2641. Meanwhile, for Caterham’s full range of drive experience events and vehicles, please visit www.caterham.co.uk or call 01883 333 700. We'll be back at Autosport International this year - Here's what happened when we caught up with Caterham's Andy Noble last year.